Our technician will first walk through your home to assess what needs to be done. He will assess the entire area that needs cleaning, identify areas of concern like permanent stains, determine the most effective cleaning method, answer your queries, and provide an initial evaluation of what to expect. You will also be provided with an estimate of the entire clean-up cost. We recommend our customers do thorough vacuum as a necessary step before doing anything else. Vacuuming helps remove dry soil, dirt, dust, and pollens. Doing this can speed up the cleaning process and make it more effective. Our technician will move chairs, sofas, tables, and other small furniture out of the way to allow access to cleaning the areas these items occupy. Heavy furniture like beds and dressers are usually left in place. If you prefer, you can move some smaller items before the technician comes in. We make use of a 100% natural citrus orange preconditioning product to help breakdown traffic area soil, dirt, and stains for a thorough and effective cleaning. Our natural citrus cleaning product is safe for both humans and pets. For those stubborn, hard to remove stains, our technicians pre-treat them with a special solution and allow it enough time to do its job before further cleaning and stain removal. 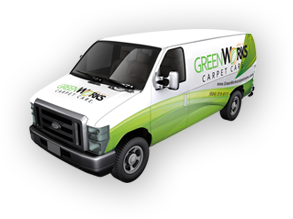 Methods are used to further agitate soil, dirt, and stains depending on the carpet type and the difficulty of soil or stain removal. Usually, a rotary brush or professional carpet groomer is used to rake through the carpet to loosen soil. This can help distribute the cleaning solution from the base to the tip of carpet fibers, enhancing the effectiveness of soil removal. Our technicians use an industrial rotary extraction cleaning tool called Rotovac360i. It’s a very powerful tool that cleans carpets thoroughly and effectively removes soil, dirt, and stains. It does not leave any sticky residue nor leave you with an overly wet carpet. When used on most kinds of carpets, carpets usually dry within 2-4 hours. As the carpet dries, our technicians will apply protective foil tabs or Styrofoam blocks under the legs or bottoms of your furniture before they are returned to their proper places. 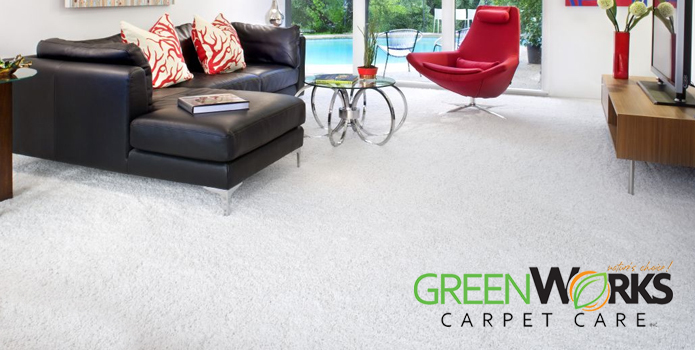 This step is necessary to prevent the furniture from leaving stains on the newly-cleaned carpet, as sometimes, moisture that’s left from the carper can draw out a color-stain finish from the part of the furniture that comes into direct contact with the carpet. As an extra option, when cleaning is done, a protective treatment is in order. A protective film is sprayed onto the carpet. This acts as an invisible shield, protecting the carpet from new stains. *Extra cost involved. Before wrapping up work, our technician will conduct a final walkthrough in your home while giving you a recap of the results and ensuring a job well done.